Scientists believe some chord names produce night terrors in toddlers. Understanding the names of guitar chords can sometimes be difficult. Beyond the names of basic chords there are some complex chords with long and complicated chord names. These “exotic” chords strike fear into the hearts of guitar players (both beginners and intermediates alike) because they seem complicated and hard to understand. As a novice guitar player, once you are beyond playing open chords, some of the names (and sounds) of other chords can be scary and baffling. “Why the hell is it called that?” you ask yourself. As it happens, demystifying complex guitar chords is not that hard, if you know how to decode them – so let’s cover some basics then move on to helping you with decoding. When we talk about major chords, for brevity we normally drop the “major” suffix and just say the letter name. So if I say: “Hey! Play an E.” I really mean, play an E major chord. Also, musos may often omit the word “dominant” when talking about a dominant 7th chord, and just call them seventh chords, as in “Play me an A7”. So that’s just a quick heads up. How are guitar chords constructed? There are several types of basic “building block” chord, each with their own unique sound and quality. You probably know 2 of them already: Major and Minor. There are 2 others – which are less important for beginners but become more relevant as you continue on your guitar journey. These are lesser known and certainly lesser used in popular music (although big in Jazz) but are worth at mentioning here: they are the Augmented and Diminished chords. Basic chords types comprise of only 3 notes/pitches. This can be confusing at first because you know you’re playing more than 3 strings when playing chords but check and you’ll find that the other notes are just duplicates of these core 3. The “3 notes in chord” concept confuses many due to number of strings played or number of fingers fretting the notes. But which 3 notes make a chord? The aforementioned fathers of western music also decided the method to create the most harmonious chords should be: “Pick one, skip one, pick one, skip one” literally cherry picking every other note from the Major Scale. Thus a basic chord is created by selecting the first note in the scale, skipping the second, selecting the third, skipping the fourth and selecting the fifth. This 1st, 3rd, and 5th note selection is much easier to see on a piano as the gap created by the skipped notes is obvious. To make a Major chord you’d pick the 1st, 3rd, and 5th notes from the Major Scale. To make a Minor chord there is a slight adjustment: you flatten the 3rd note (move it down one fret) to get a flat 3 (written as b3). THEORY EXTRA: Referring to notes in a scale by their number rather than note name (E, F etc) is labelling them by their “scale degrees”. Deepening in complexity, the next level of chords (4 note chords) is created by continuing the “pick one, skip one” method: this time selecting the first note, skipping the second, selecting the third, skipping the fourth, selecting the fifth, skipping the sixth and selecting the seventh. Notice how the Major 7 is just a major “building block” chord with a natural 7 added, the Dominant 7 (often just called a seventh chord) is a major building block with a flat 7 added and the Minor 7 is a minor building block with a flat 7 (b7) added. The letter name is the Root note of the chord and dictates at what fret it begins, the chord type (as discussed above) may be either Major or Minor (if a basic chord) or Major 7, Minor 7 or Dominant 7 (if a more complex 4 note chord), lastly the additions/adjustments describe any extras notes or alterations to existing notes. C add 9 = C (letter name) major (chord type) add 9 (addition) – a regular C with the addition of an extra 9th note. E7#9 = E (letter name) dominant seventh (chord type), sharp 9 (alteration) – the Hendrix chord. D7b9 = D (letter name) dominant seventh (chord type), flat 9 (alteration) – a nice one to pop in before a 7th chord of the same name. It depends if you are talking about 9th chords or the addition of a 9th note (as in our examples above). 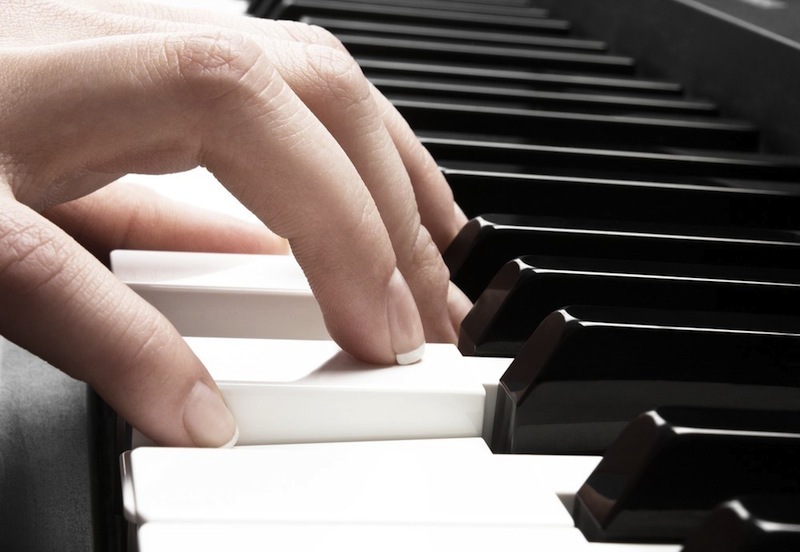 An additional 9th note is the one you arrive at after counting up 9 steps of the major scale. The major scale repeats itself after the 7th degree therefore 8 is the same as 1 and a 9th is the same as a 2nd, only an octave higher (2 + 7). The sharp 9 (#9) is the 9th note of the major scale slid up 1 fret, the flat 9 (b9) is the 9th note slide down 1 fret. 9th chords however are a different thing. These are one level more complex than 7th chords. These are 5 note chords and fall in to the same subset categories as the 7ths: Major, Minor and Dominant. Did you talk about 6th chords yet? Newer PostHow do I know what chords to use to write a song?